Michael Hoey failed to follow up an impressing opening round at the European Masters after carding a three-over-par 73 in Switzerland on Friday. 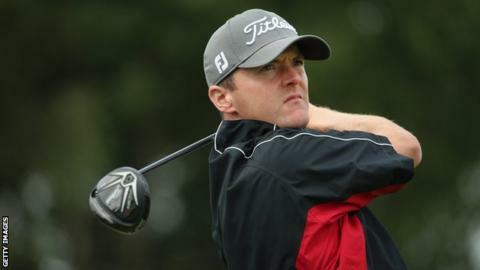 The Belfast player enjoyed a hole-in-one on the way to a 65 on Thursday but a quadruple bogey and triple bogey contributed to a disappointing round. Hoey finished on two under and 11 shots behind leader Englishman Danny Willett. Peter Lawrie is sharing 20th place on five under after a 68 but Damien McGrane is certain to miss the cut. McGrane played his opening 15 holes on Friday in seven over par to drop to 10 over with only a couple of players in the 156-strong field behind the Meath man. Hoey's round also included an eagle at the short par-four 17th to go along with four birdies and two bogeys and he slipped to a share of 49th place at Crans-sur-Sierre. After starting at the 10th, Hoey's immediate bogey was followed by a two at the short 11th before he suffered a seven at the par-three 13th. The five-time European Tour winner bounced back with birdies at the 14th and 15th before his eagle at the 17th brought him to the turn in level-par 35. A bogey and a birdie over his next six holes kept him on level par for the day before he suffered another destructive blow by dropping three shots at the par-four seventh.